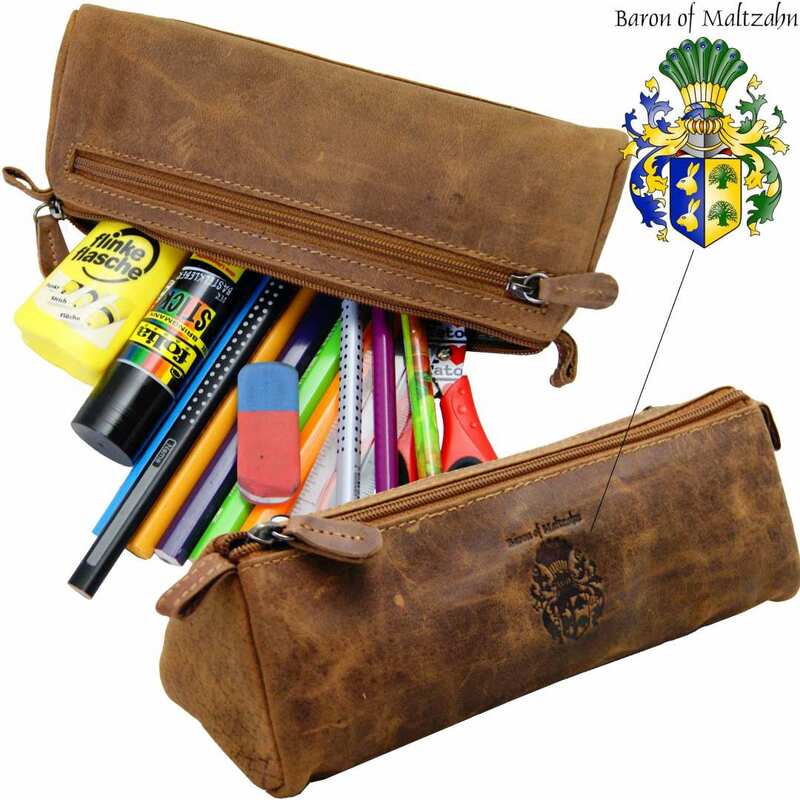 Product information "Pencil case DEMOCRITUS of brown leather"
The timeless and elegant pencil case DEMOCRITUS made of brown leather offers the possibility to carry pens, rulers and pencils to school, college or office in a tidy way. Do you attach importance to discreet style confidence? Then the leather pencil case is just made for you! 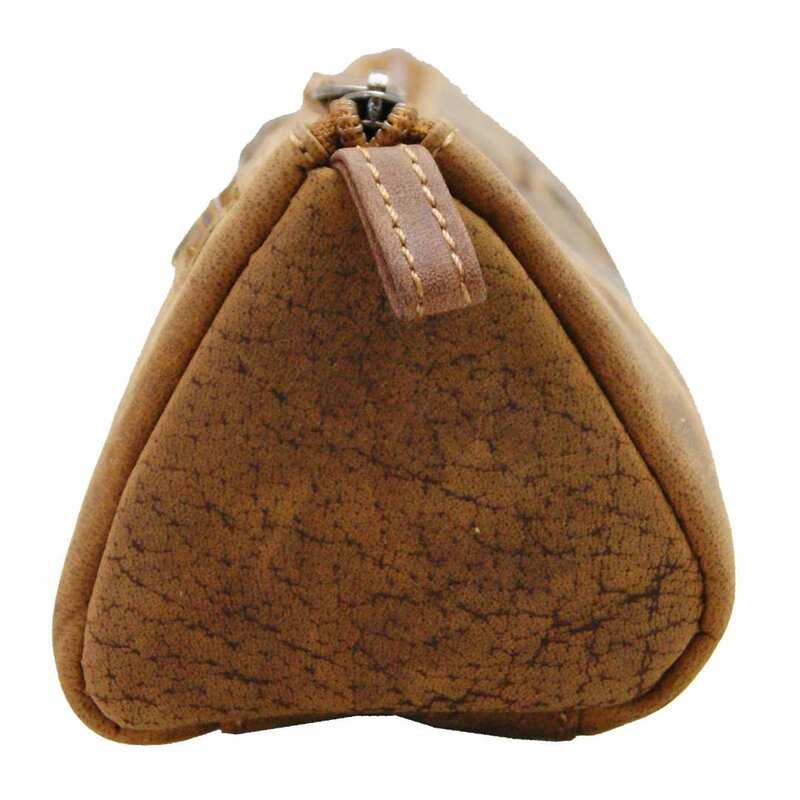 This brown leather case with a discreet design is a true classic piece that you will want to carry everywhere. Its special, unique appearance is rounded up by the noble crest embossed on its surface. With the use, the leather is going to acquire some new colour shades and alterations that will make of the pencil case an absolutely personal and individual everlasting masterpiece. You will have a lot of space available in the pencil case thanks to the lower triangular borders. That way, apart from pens, a compass and rulers, you can also easily store bigger objects as scissors or a small booklet. Additionally, this convenient shape favours the safe standing of the case on your desk. The total size of the pencil case is 7.5 x 2.8 x 2.6 in (19x7x6.5 cm). 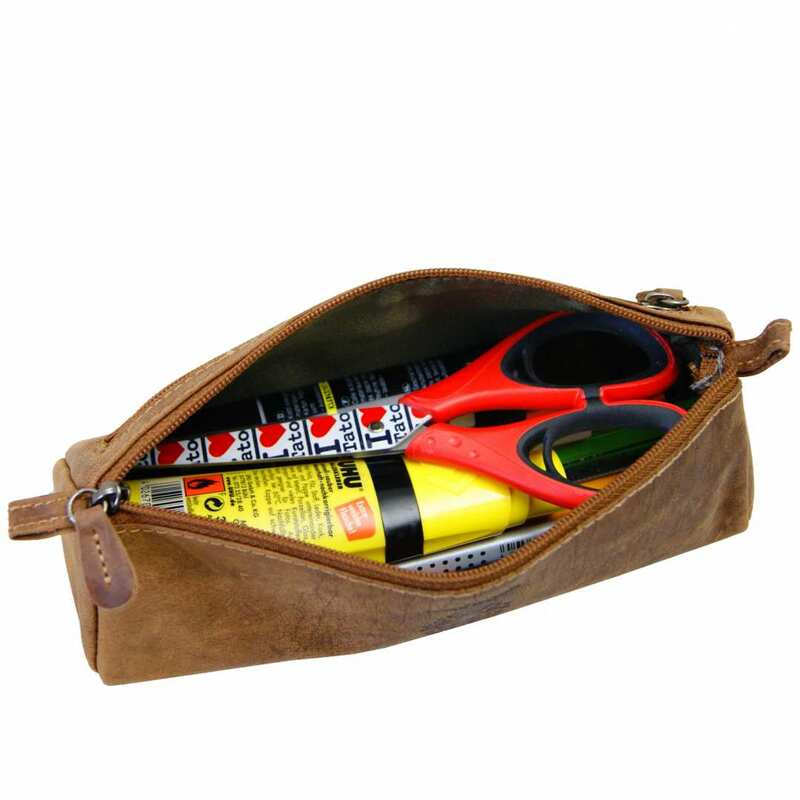 The pencil case is made of 100% unadulterated, natural genuine leather. This material has a very resistant surface and a full tone of brown. 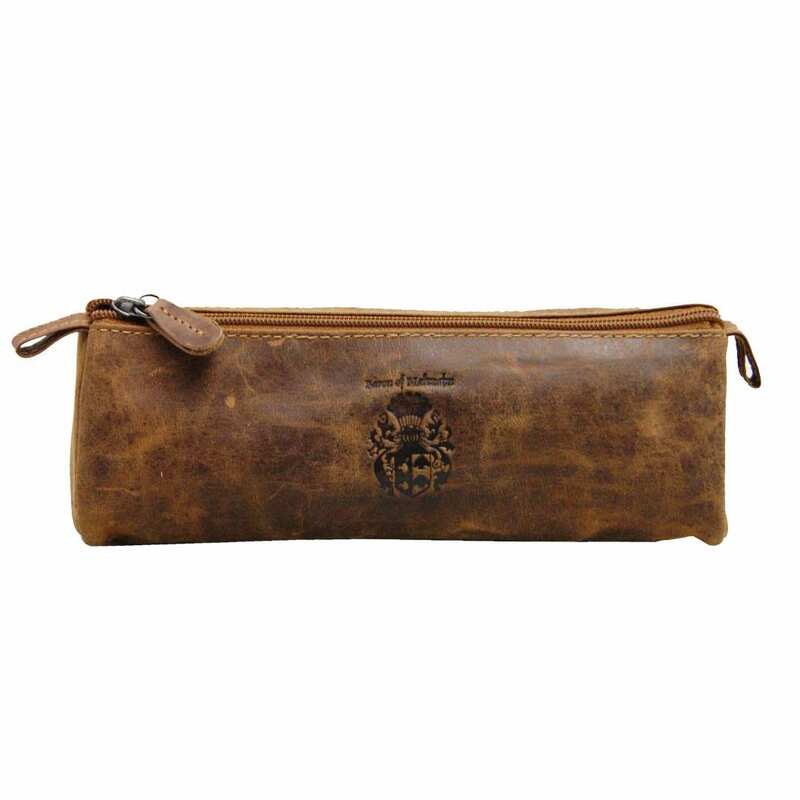 The expertly sewn seams and zippers are adequate for the leather’s natural shade of brown and care for a uniform look of the pencil case. On the inside, the case is protected with an elegant gray smooth lining. In case that your pencil case needs cleaning due to its daily use, just wipe down a sponge and lukewarm water over the surface. Use a little bit of soap if the stains are tougher and lastly a tiny bit of detergent for the worst cases. 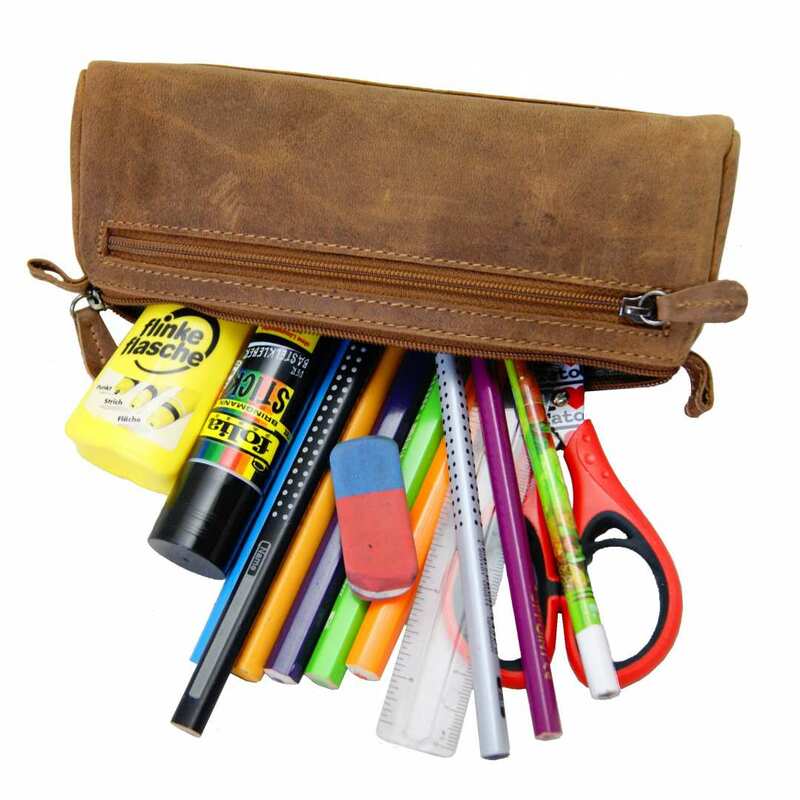 Order now your brown leather pencil case and enjoy this everlasting wonder! Reviews for "Pencil case DEMOCRITUS of brown leather"